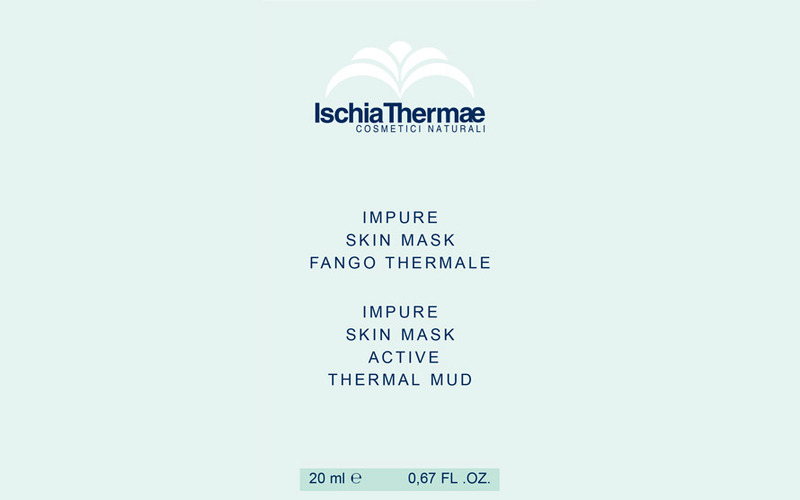 The Ischia Thermae Thermal Mud on the basis of this product contains micro-granules of mineral origin and allows dual use: as a Purifying Mask to reduce excess surface oakness and exert an astringent action of dilated pores and as Esfoliante to help remove impurities and superficial dead cells and favor the natural process of skin exfoliation and cell replacement. It also performs a balancing and normal-glowing skin action, leaving it perfectly soft, bright and without any feeling of resentment. It is suitable for all skin types, except for delicate, sensitive or hypersensitive skin. APPLICATION AS A PURIFYING MASK After the detergent and the Tonic Thermal Water, apply a layer of Thermal Thickness Thickness of a Coin, Face and Neck, Avoid Eye Contour. Massage slightly for a few seconds and redistribute the product in a single-shaping and covering way. Allow to dry for 10 to 15 minutes. Rinse thoroughly with warm water and complete with Tonic Thermal Water. Continue with the usual Ischia Thermae treatment. After the detergent, apply the mud on the skin still wet of face and neck, avoiding the eye contour, and gently massage for about 1 minute. Rinse thoroughly with lukewarm water and complete with Tonic Thermal Water. Continue with the usual Ischia Thermae treatment.